Dag Prawitz was born in 1936 and studied theoretical philosophy at Stockholm University as a pupil of Anders Wedberg and Stig Kanger. He took his doctorate 1965 with the dissertation Natural Deduction. A Proof-Theoretic Study. In 1971, after some years as docent (associate professor) at Stockholm and at Lund University and as visiting professor in USA (UCLA, Michigan University, and Stanford), he succeeded Arne Naæss as professor of philosophy at Oslo University, where he stayed for six years. In 1976 he succeeded Wedberg as professor of theoretical philosophy at Stockholm University. Prawitz was chairman of the Philosophy Department in 1977-79 (with an interruption 1983 when he was visiting professor at Rome University), and for many years he was the only one in the department responsible for postgraduate studies in theoretical philosophy. In course of time the staff could be enlarged, and when Prawitz retired in 2001 there were six full professors of theoretical philosophy at the department. Prawitz is still attached to the Department as emeritus. He is a member of several academies, among others, the Royal Swedish Academy of Sciences, the Royal Academy of Letters History and Antiquity, Academia Europaea, and Institut International de Philosophie, and has had various administrative tasks within them. As President of the Schock Foundation in 1988-97, he was responsible for shaping the four international Rolf Schock Prizes, one of which is in logic and philosophy and is conferred by the Swedish Academy of Sciences. 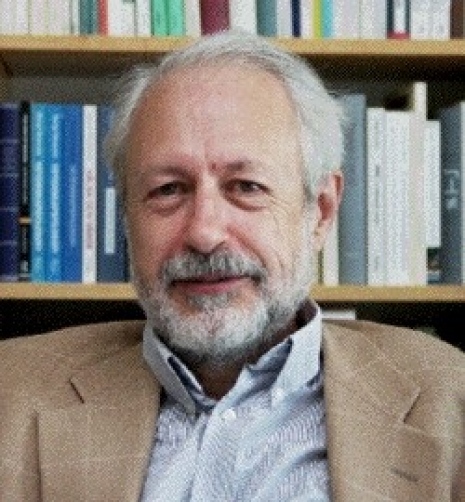 He has been scientific adviser of the Swedish Institute of Computer Science, vice president of the Swedish Council for Research in the Humanities and Social Sciences, chairman of two of its priority committees, and chairman of the organization committee for the 9th International Congress for Logic, Methodology and Philosophy of Science. He was chairman of a committee for the evaluation of philosophy in Sweden that the National Agency for Higher Education carried out in 2004-5, and an external expert when the Agency made a new evaluation in 2008-09. In 2009-10 he participated in a panel for the evaluation of philosophical research in Norway appointed by the Norwegian Research Council. Prawitz led the Publishing House Thales from its start 1985 and remained its manager to 2004. See also Prawitz' curriculum vitae. Prawitz main research areas are logic, the philosophy of logic and mathematics, and philosophy of language. Within logic he has worked mostly in proof theory, where he has shown that all proofs within Gentzen's system for natural deduction can be reduced to a significant normal form, a result that corresponds to Gentzen's Hauptsatz for sequent calculus. Both results has been extended to higher order logic. Within the philosophy of logic he has written among other things on the conflict between classical and intuitionistic logic. His works in philosophy of language concerns meaning theory. In this field he has been interested in the idea originating with Gerhard Gentzen and Michael Dummett that the meaning a statement can be seen as determined by what would establish the statement as true. He has also written about causality, utilitarianism, and moral reasoning. Prawitz led a big interdisciplinary research project Meaning and Interpretation, funded by the Tercentenary foundation of the Swedish National Bank, involving 22 researchers from several Swedish universities, in the subjects of philosophy, history of literature, linguistics, Scandinavian languages, theatre studies, and history of art. His latest and still ongoing works treat the concepts of logical consequence and validity of inference. He has argued that if we want to account for how inferences can give rise to new knowledge, we need to reconsider what it is to make an inference and what it is for an inference to be valid, which he wants to give a constructive content. This was one main theme of the Kant lectures, which Prawitz gave at Stanford in 2006 with the title "Proofs, Meaning and Reality", and of a series of lectures in the spring of 2007 at Bologna University, at which he was then attached as fellow of its Institute of Advanced Studies. Related themes are the question of objectivity of proofs and the existence of a general concept of proof which were topics at lectures he gave at Collège de France in the spring of 2009 and at the 14th Congress of Logic, Methodology and Philosophy of Science at Nancy 2011. Recently he has taken up the question of normalizing natural deductions in first order arithmetic and has shown that the method used by Gentzen in his second consistency proof can be extended to prove the normalization theorem. "Proofs in Mathematics as Grounds for Assertions", at "Workshop on Philosophy Today", Scuola Normale Superiore, in Pisa, 23-27 January 2006. "Logical Determinism and The Principle of Bivalence", at Memorial symposium "Georg Henrik von Wright – Reason, Action and Morality", in Turku, 26-27 May 2006. "Validity of Inferences", at "The 2nd Launer Symposium on Analytical Philosophy on the Occasion of the Presentation of the Launer Prize 2006 to Dagfinn Føllesdal", in Bern, 22-23 June 2006. "Validity of Inferences. On Bolzano's and Carroll's Regress", at "Mathematics and Truth: Fundamental Issues in Logical Research - A Meeting in Honour of Ettore Casari", in Pisa, 28 March 2007. "Proofs Verifying Programs and Programs Producing Proofs – A Conceptual Analysis", at "Workshop on Deduction, Computation, Experiment. Exploring the Effectiveness of Proofs", in Bologna, 3-4 April 2007. "Grounds for Judgements, Meaning and Inference", at the conference "Judgements, Assertions, and Propositions. The Logical Semantics and Pragmatics of Sentences", in Berlin, 17-18 January 2008. "Validity of Inference", at Inaugural Symposium of Chair of Excellence "Ideals of Proof", in Paris, 8 February 2008. "Knowledge and Inference", at the conference LOGICA in the Czech Republic, 16-20 July 2008. "Kinds of Pluralism in Logic", at the conference "Logical Pluralism" in Tartu, 27-31 August 2008. "Explications of the notions of inference and consequence", at the Workshop "Philosophy of Logical Consequence" in Uppsala, 31 October - 2 November 2008. "Conflicting intuitions about deductive reasoning", at the conference "The Fundamental Idea of Proof Theory" in Paris, 15-16 April 2009. "Truths and proofs – some epistemic and ontological questions", at the conference Philosophy and Foundation of Mathematics: Epistemological and Ontological Aspects in Uppsala, 5-8 May 2009. "Logical Consequence and Deductive Reasoning, at the conference "Philosophical Nature of Logical Consequence" in Dubrovnik, 10-14 May 2010. "Perfect syllogisms, proofs, and knowledge", at the conference "Logic and Knowledge" in Rome, 16-19 June 2010. "Truth as an epistemic notion", at the conference "Anti-realistic Notions of Truth" in Siena, 10-11 September 2010. "What is an inference?" at a workshop in Siena, 3-4 June 2011. "Proof, inference, and ground", at the conference "Evidence in Mathematics" in Oslo, 14-16 November 2011. "Normalizations of natural deductions in 1st order arithmetic and the Gentzen measure", at Workshop on Proof Theory and Constructivism in Helsinki, 23 March 2012. “On the relation between Heyting’s and Gentzen’s approaches to meaning” at the “Second conference on Proof Theoretic Semantics” in Tübingen, 8-10 March 2013. “On the relation between Heyting’s, Gentzen’s, and some others’ approaches to meaning” at the conference “Meaning: Models and Proofs”, München, 11-12 October 2013. “A fusion of Gentzen’s and Heyting’s ideas about proofs” at the conference LOGICA 2014, Hejnice, The Czech Republic, 20 June 2014. En filosofibok, Bonniers, Stockholm, 1978 (together with L. Bergström och H. Ofstad). Logic, Methodology and Philosophy of Science IX, Elsevier, 1994 (together with B. Skyrms and D. Westerståhl). Logic and Philosophy of Science in Uppsala, Kluwer Academic Publishers, 1994 (together with D. Westerståhl). Meaning and Interpretation, Konferenser 55, Kungl. Vitterhets Historie och Antikvitets Akdamien, Almqvist and Wiksell International 2002. See Publications for a more comprehensive list. 1. "A mechanical proof procedure and its realization in an electronic computer" (with H. Prawitz och N. Voghera), Journal of the Association for Computing Machinery 7, pp 102-128, 1960. — reprinted (with comments) in: Automation of Reasoning 1, Classical Papers on Computational Logic, J. Siekmann and G. Wrightson (eds), pp 202-28, Springer Verlag, 1983. 2. "An improved proof procedure", Theoria 26, pp 102-39, 1960. — reprinted (with comments) in: Automation of Reasoning 1, Classical Papers on Computational Logic, J. Siekmann and G. Wrightson (eds), pp 162-201, Springer Verlag, 1983. 3. "Completeness and Hauptsatz for second order logic", Theoria 33, pp 246-58, 1967. 4. "A discussion note on utilitarianism", Theoria 34, pp 76-84, 1968. 5. "A survey of some connections between classical, intuitionistic and minimal logic" (with P-E Malmnäs), in: Contributions to Mathematical Logic, H. A. Schmidt et al (eds), pp 215-29, North-Holland, 1968. 6. "Hauptsatz for higher order logic", Journal of Symbolic Logic 33, pp 452-57, 1969. 7. "Some results for intuitionistic logic with second order quantifiers", in: Intuitionism and Proof Theory, Proc. of the Summer Conference at Buffalo, J. Myhill et al (eds), pp 259-69, North-Holland, 1970. 8. "Constructive semantics", in: Proceedings of the 1st Scandinavian Logic Symposium, pp 96-114, Uppsala, 1970. 9. "Ideas and results in proof theory", in: Proceedings of the 2. Scandinavian Logic Symposium, J. Fenstad (ed), pp 237-309, North-Holland, 1971. — Italian translation: "Idee e risultati nella teoria della dimostrazione", in: Teoria della dimostrazione, D. Cagnoni (ed), pp 127-204, Feltrinelli, 1981. 10. "The philosophical position of proof theory", in: Contemporary Philosophy in Scandinavia, R. E. Olson et al (eds), pp 123-34, The John Hopkins Press, 1972. — Japanese translation in: Readings in the Philosophy of Mathematics: After Gödel, I. Takashi (ed), pp 161-180, 1995. 11. "Towards a foundation of general proof theory", in: Logic, Methodology and Philosophy of Science IV, P. Suppes et al (eds), pp 225-50, North Holland, 1973. 12. "On the idea of a general proof theory", Synthese 27, 1974, pp 63-77. — reprinted in: A Philosophical Companion to First-Order Logic, R.I.G. Hughes (ed), pp 212-24, Hackett, 1993. — Italian translation: "Sull'idea di una teoria generale della dimostrazione", in: Teoria della dimostrazione, D. Cagnoni (ed), pp 205-20, Feltrinelli, 1981. 13. "Comments on Gentzen-type procedures and the classical notion of truth", in: Proof Theory Symposium Kiel 1974, A. Dold et al (eds), pp 290-319, Springer Verlag, 1975. 14. "Meaning and proofs: On the conflict between classical and intuitionistic logic", Theoria 43, pp 2-40, 1977. 15. "Proofs and the meaning and completeness of the logical constants", in: Essays on Mathematical and Philosophical Logic, J. Hintikka et al (eds), pp 25-40, D. Reidel, Dordrecht, 1979. — German translation: "Beweise und die Bedeutung und Vollständigkeit der logischen Konstanten", Conceptus, XVI, pp 3-44, 1982. 16. "Intuitionistic logic: A philosophical challenge", in: Logic and Philosophy, G. H. von Wright (ed. ), pp 1-10, Martinus Nijhoff Publishers, The Hague, 1980. 17. "Philosophical aspects of proof theory" in: Contemporary Philosophy. A new survey, vol 1, pp 235-77, Martinus Nijhoff Publishers, The Haugue, 1981. 18. "Validity and normalizability of proofs in 1st and 2nd order classical and intuitionistic logic", in: Atti del congresso nazionale di logica, pp 11-36, Bibliopolis, 1981. 19. "Remarks on some approaches to the concept of logical consequence", Synthese 62, pp 153-71, 1985. 20. "Normalization of proofs in set theory", in: Atti degli incontri di logica mathematica, pp 357-71, Siena, 1985. 21. "Dummett on a theory of meaning and its impact on logic" in: Michael Dummett, Contributions to Philosophy, B.M. Taylor (ed), pp 117-65, Martinus Nijhoff Publishers, Dordrecht, 1987. 22. "Von Wright on the concept of cause", in: The Philosophy of Georg Henrik von Wright, P. Schilpp et alt (eds), pp 417-44, Open Court, 1989. 23. "Meaning theory and anti-realism" in: The Philosophy of Michael Dummett, B. McGuiness et al (eds), pp 79-89, Kluwer Academic Publishers, 1994. 24. "Quine and verificationism", Inquiry 37, pp 487-94, 1995. 25. "Truth from a constructive perspective" in: Truth in Perspective: Recent Issues in Logic, Representation and Ontology, C. Martinez et al (eds), pp 23-35, Ashgate, Aldershot 1998. 26. "Comments on the papers", Theoria 64 (Special issue on the philosophy of Dag Prawitz), pp 283-337, 1998. 27. "Logical Consequence from a Constructivist Point of View", in Handbook of Philosophy of Mathematics and Logic, S. Shapiro (ed), pp 671-695, Oxford University Press, 2005. 28. "Meaning Approached via Proofs", Synthese 148, pp 507-524, 2006. 29. "Pragmatism and Verificationism", in: The Philosophy of Michael Dummett, The Library of Living Philosophers, vol XXXI, R. E. Auxier and L. E. Hahn (eds), pp 455-481 Open Court, Chicago, 2007. 30. "Proofs Verifying Programs and Programs Producing Proofs: A Conceptual Analysis", in: Deduction Computation Experiment: Exploring the Effectiveness of Proofs, R Luppacini and G. Corsi (eds), pp 81-94, Springer, Milano, 2008. 31. "Logical Determinism and the Principal of Bivalence", in : Philosophy Probings. Essays on von Wright's Later Work, F. Stoutland (ed), pp 11-135, United Press, United Kingdom, 2009. 32. "Inference and Knowledge", in: The Logica Year Book 2008, M. Pellis (ed), pp 175-192, College Publications, London, 2009. 33. "Proofs and Perfect Syllogisms, in: Logic and Knowledge, C. Cellucci et al (eds), pp 385-402, Cambridge Scholars Publishing, Newcastle on Tyne. 2011. 34. “Truth and Proof in Intuitionism”, in: Epistemology versus Ontology, P. Dybjer et al (eds), Springer, pp 45-67, 2012. 35. “The Epistemic Significance of Valid Inferences”, Synthese 187, pp 887-898, 2012. 36. “Truth as an Epistemic Notion”, Topoi 31, pp 9-16, 2012. 37. “Validity of Inferences”, in: Reference, Rationality, and Phenomenology: Themes from Føllesdal, M. Frauchiger (ed), Ontos Verlag, Dordrecht, pp 179-204, 2013. 38. “An Approach to General Proof Theory and a Conjecture of a Kind of Completeness of Intuitionistic Logic Revisited”, in: Advances in Natural Deduction. A celebration of Dag Prawitz’s work, Luiz Carlos Pereira, Edward Hermann Haeusler, and Valeria de Paiva (eds), pp. 269-279, Trends in Logic 39, Springer, Dordrecht, 2014.